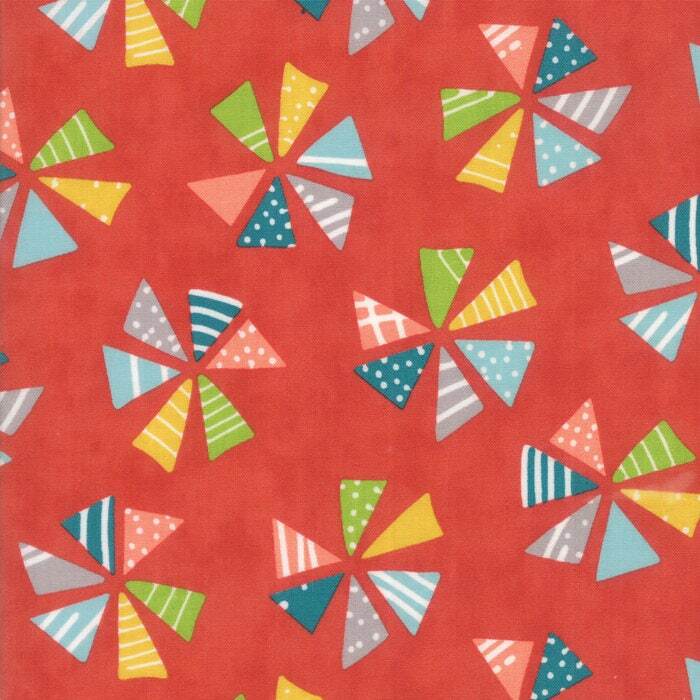 This is a fun pinwheel fabric. The background is a red to dark coral and the pinwheels are decorated in greens, pinks, blues, yellows, and greens. Thank you for checking out Create by the Yard where we offer eco-friendly, upcycled, and fun fabrics!